Readers shouldbe aware the tax law signed by the President on 22 December 2017 dramatically changed the applicability of this article. Most of these rules have changed or are obsolete. I have decided to leave it here for consistency and posterity. One remarkable side effect from being a tax preparer is that it has enhanced my opinion of my fellow citizens. I used to feel like I was one of the few people left in America who wasn't lying on his tax return. Preparing taxes for other people has shown me that my previous suspicions about the rest of you weren't true. In my experience the great majority of taxpayers are honest. They are not trying to cheat on their taxes. They want to take all of the deductions to which they are entitled, and they don’t want to try to get away with claiming deductions for things they are not qualified to claim. That observation leads me to believe the rules for deducting work-related clothing are misunderstood. Or, perhaps, do-it-yourself software doesn’t do a very good job of helping people through the process of claiming that particular deduction. Perhaps it is a combination of those two things. Either way, I review several tax returns every year that get this deduction wrong. The taxpayer didn’t claim the clothing deduction when they were qualified to do so. Or, the taxpayer deducted clothing expenses that don’t meet the IRS standard for being work-related. I will try to clarify. The tax code allows self-employed taxpayers to deduct expenses related to their business. Similarly, taxpayers who are employees can deduct the business-related expenses of being an employee. Therefore, work-related clothing can be deducted by taxpayers regardless of whether they are self-employed or employees. 1. It must be required by your employer. 2. It must not be suitable for use outside your place of work. BOTH of these must be true in order for the clothing to be deductible. Let's look at each in greater detail. This is an easy test to meet if you are self-employed. You are your employer and you wear what you require. If you are an employee it can be a little less straight forward, but is usually easy to determine. Perhaps you work in a restaurant and your manager requires khaki pants and a blue polo shirt. Perhaps you work as a mechanic and the manager requires you to wear a blue shirt with your name patch sewn on it. Perhaps you are in the military and you have uniforms to wear. These are all situations in which your employer required you to purchase and wear particular clothes for work. I think this is the part that is misunderstood. If the clothing is suitable for use outside of work it is NOT work-related clothing - even if your employer required you to have it. Khaki pants and a blue polo shirt are suitable for wear outside of work. It doesn’t matter if you don’t wear them outside of work. It doesn’t matter if you would not be caught dead out in public in khaki pants and a blue polo shirt. They are considered suitable for use outside of work, and therefore NOT deductible as work-related clothing. Many military uniforms are also considered suitable for use outside of work. If you can wear it off base it is not deductible as work-related clothing. Of my previous examples, that leaves the mechanic with the blue shirt and name patch. This clothing is not suitable for use outside the place of work. People don’t typically walk around in public sporting their name and the company logo on their clothing. If the mechanic paid for these items himself, the shirt, the name patch, and the tailoring to attach the name patch to the shirt would all be deductible as work-related expenses by this employee. I will often see people take a large deduction for clothing when they start a business or a new job. “I needed a new wardrobe,” they will tell me, “I am in sales. I see clients, it is essential to my job that I look professional.” "I only bought these clothes because of the new job." I believe them, and I understand. I see clients. I try to look presentable. I spend money on suits, shirts, sport coats, and ties that I only wear at work. This does not make them deductible. It is clothing that is suitable to be worn outside of my work, and is therefore not deductible as work-related clothing on my tax return. Your new clothes, even though you bought them because of your job, are not work-related if they can be worn outside work. 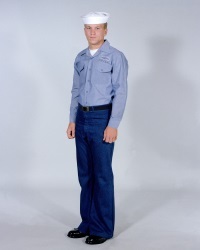 When I was a young sailor we had uniforms that could not be worn off base. * There seem to be fewer of those today, but they still exist. Those uniforms would be deductible as work-related employee expenses, but only to the extent that you paid for them out of pocket IN EXCESS OF your annual uniform allowance. Additionally, there are certain ceremonial items required by some military personnel that are not regular uniform items. Things like an officer’s sword or a flag-aide’s epaulets. These items are also deductible if they exceed your annual uniform allowance. If you have qualifying work-related clothing you should be deducting it from your taxes. Just make sure that it meets the IRS definition of work-related. If it doesn’t your deduction will not hold up in an audit, and you’ll owe penalties and interest on top of the additional taxes. If you have questions or concerns about work-related deductions, please contact me. 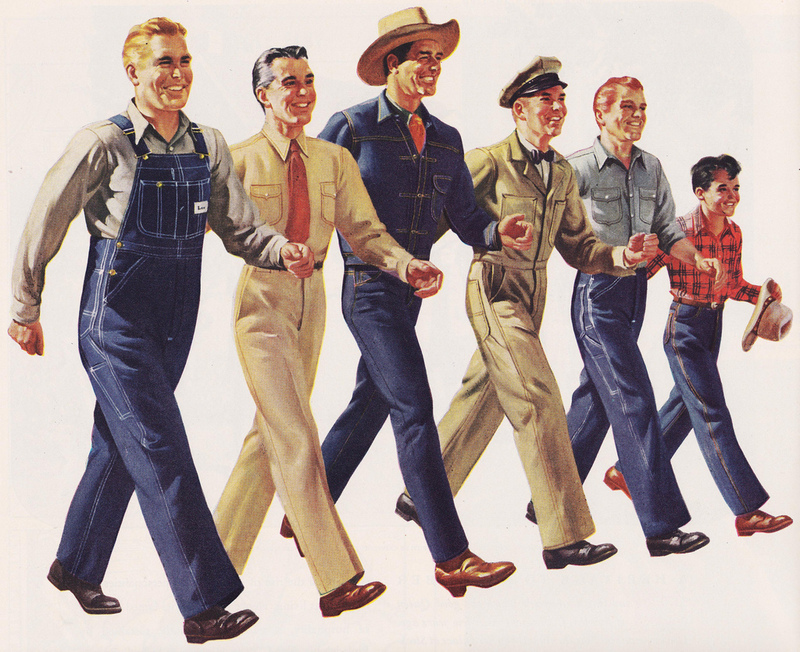 *A short sea story: When I was a junior sailor we still wore the dungaree working uniform. It was not to be worn off base. The rule was you could drive to and from work wearing your dungarees as long as you did not get out of your car between home and work. I observed this rule stridently... except once. I lived about 40 miles from the base and stopped at a gas station near my home. I was low on gas and figured I could just pump the gas quickly, jump back in my car, and not have to go back out later. Standing there pumping the gas a car pulled up on the other side of the pumps. I could see that two-starred fouled anchor on his combination cover from a mile away. The Master Chief stepped out, gave me the stank eye, and asked which command I worked for. I told him, of course, then got in my car and drove off. I never heard anything else about it, but I also never stopped anywhere in that uniform ever again! 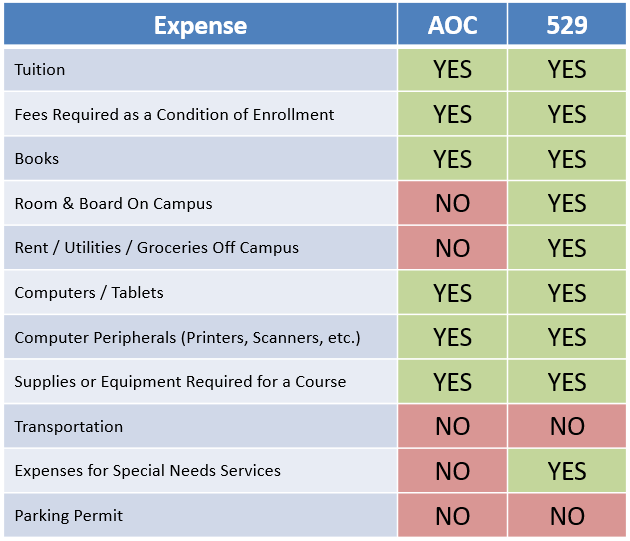 My daughter, a senior in college, recently asked me a reasonable question about whether or not printer cartridges were eligible expenses under the 529 program. This led to a broader discussion of the process I use to keep track of her qualified higher education expenses and their corresponding tax breaks. It occurred to me that might be good information for other taxpayers to have as well. I’ll use our specific situation to illustrate my method, but with generic numbers. 1. Tax Break 1 - Daughter qualifies for the American Opportunity Tax Credit (AOC). 2. Tax Break 2 - We have money in a Virginia 529 account that remains tax free as long as it is used for her education. 3. Expenses - Tracking qualified higher education expenses (QHEE) and matching them with the correct tax break of the two listed above. Like most taxpayers, the AOC is more valuable to us than the 529 tax break. Therefore, I am careful to make sure the AOC is accounted for first. In our situation this is not a problem because my daughter is a full-time student at a four-year university. Tuition each year is over $9,000. Tuition is also a QHEE for the AOC. The maximum amount of QHEE needed to get maximum benefit from the AOC is $4,000. (At $4,000 the AOC is 'maxed out'.) Therefore, I count the first $4,000 of tuition against the AOC and that valuable tax credit is taken care of. Remember: Double-dipping is not allowed. I can’t claim all $9,000 of the tuition against the 529 money and then also claim $4,000 of it for the AOC. That would be claiming the same expense against two different tax breaks, and it is not allowed. That $4,000 of tuition money that gives us the maximum AOC benefit must come from some place other than the 529 account. This is where it gets a little tricky. We have non-qualified money in a savings account that is used to fund the college expenses, which is then reimbursed from the 529 plan money. Tuition gets paid right before the start of each semester. Other QHEE for books, room & board, etc. get paid throughout the semester. At the end of the semester I pull money out of the 529 account to reimburse the savings account for all of the expenses EXCEPT for the first $4,000 of tuition, which is reserved to qualify for the AOC. I made a graphic to help explain my method. 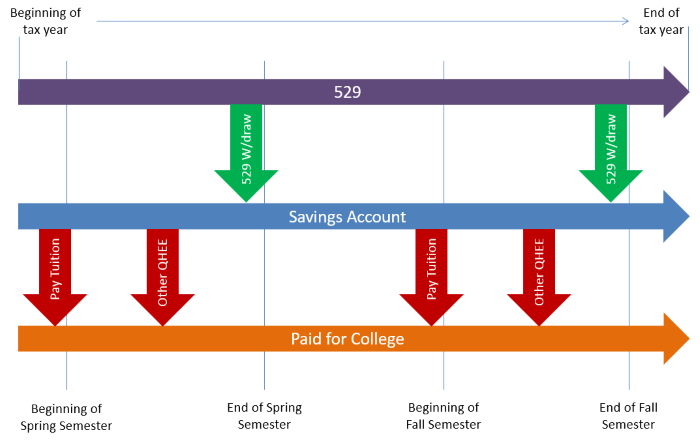 The graphic is essentially 3 stacked timelines showing the order of the money flow over the course of a calendar (tax) year from the 529 account to the savings account to the expenses associated with college. Reading from left to right, tuition and other expenses get paid from the savings account and then at the end of the semester the savings account gets reimbursed from the 529 plan. While the tuition gets paid in a lump sum just before the start of each semester the “Other QHEE” is a number of payments throughout the semester. My daughter has elected to live off campus, so she pays rent and utilities and buys groceries. She can claim all of these as QHEE (against 529 money) as long as the total does not exceed what the university would have charged for on-campus room and board. She has a roommate, so this has never been an issue. If she were living a lavish lifestyle in a penthouse condo and her actual expenses exceeded what the university charges for room and board, her QHEE (for room and board) would be limited to the amount the university charges. There are other ways to manage this process, but this works for me. I can be sure I will not take too much from the 529 account because I already know what the expenses were for the previous semester. I protect the AOC in the spring by withdrawing $4,000 less from the 529 than the actual qualified expenses were for the spring. That ensures I used non-qualified money for $4,000 of the tuition, which means I can apply that toward the AOC when I am filing tax returns the next year. We are fortunate to be able to pay out-of-pocket each semester and reimburse ourselves from the 529 plan. (Fortunate because we made a plan and nothing derailed that plan.) We started saving for our children’s education when they were very young. Daughter did her first two years of school at the local community college and then transferred to the university, significantly reducing the overall bill for a bachelor’s degree. She has also worked full time during her schooling and contributes financially to her own education. I’ll be there when she graduates from the Strome College of Business at Old Dominion University next spring. I’ll be the one beaming. This is a complex issue, which is probably why I write so often about 529 plans. If you have questions about the American Opportunity Tax Credit, qualified higher education expenses, your 529 plan, or any other tax breaks for college, please contact me. Charitable giving is a wonderful thing. You can provide targeted assistance to other members of our society who need a helping hand. It's a cost-effective way to help make the world a better place. It’s such a wonderful thing the government encourages it by providing tax breaks for those who give to charity. If you itemize your deductions, you can subtract your contributions to charity from your taxable income and lower your tax bill. Most of my clients take advantage of that tax incentive and give some money to charities each year. If you pay state income taxes in Virginia, you get a double bonus. The charitable deductions from your federal tax return also carry over to your Virginia return. Not only do you not pay federal income taxes on the money you donate to qualified charities, but you don’t pay Virginia income taxes on it either. If you think about it, that’s fairly generous on Virginia’s part. You might be giving money to the Boys and Girls Clubs in San Bernardino, California, and you still get a Virginia tax break for it. The Boys and Girls Clubs of San Bernardino is a worthy charity, I’m sure, but it doesn’t really help any Virginians for you to donate money to charities out of state. You still get a Virginia tax break for it, though. The fine folks in Richmond recognized this overtly generous situation and decided they wanted to provide a separate incentive to encourage Virginians to donate their money to local (Virginia) charities. What they came up with was a humdinger of a tax credit called the Neighborhood Assistance Program (or the Neighborhood Assistance Act Credit). If you make a contribution to a Neighborhood Assistance Program (NAP) qualified charity you can get up to a whopping 65% Virginia tax credit for your donation. John and Jane Doe are Virginia residents. Their top marginal federal tax rate is 25%, and their Virginia marginal rate is 5.75%. They give $1,000 to a NAP-qualified charity and are eligible for a 65% tax credit on their Virginia taxes. They gave $1,000 to charity and it lowered their taxes by $957.50. Total cost to them was only $42.50. The NAP is complex, so don’t just start throwing money at a local charity and expect a big tax credit. Virginia makes you work for this, but given how generous the program is I don’t really blame them. Next you have to find a NAP-qualified charity. The Virginia Department of Social Services posts a list of them every year. YOU NEED TO CONTACT THE CHARITY FIRST BEFORE YOU QUALIFY FOR THE CREDIT. Virginia puts a fixed dollar cap on the available credits, and wants to spread the money somewhat evenly across all of the qualified charities. To help this along they put the charities in the driver's seat. The qualified charities each get a certain value of credits for the year they can award to donors. If you give money to one of these charities, you need to make sure they have credits available to award you for your donation. The list of charities with credits to give comes out in July. You should contact your preferred charity in July to secure your credits. By August many charities are out of credits, but you can probably still find some if you call around. Once you have verified the organization you want to support has available tax credits, make your donation. You can’t have any strings attached to your donation or receive anything of value from the organization in return. The charity should then provide you with a Contribution Notification Form (CNF) that you fill out and return to them. The charity forwards your CNF to the Virginia Department of Social Services and the VDSS issues you a tax certificate proving you are entitled to the NAP Tax Credit. When you file your Virginia taxes you include the information about the donation on Schedule CR, and you are done. Virginia puts a fixed dollar cap on the amount of credits they will refund each year. In the event the total credits claimed exceed the fixed cap everyone claiming the credit will see a reduction in the credit. In other words, the credit might only be 60% or 62%, or 58%. You won’t know until all of the credits are counted in Richmond for the year. The credit is non-refundable. If it takes your total Virginia tax liability down to zero and you still have unused credit, the difference won’t be refunded to you. However, any excess unused credit can be carried forward to the next tax year (for up to 5 years). You can also give to programs approved by the Virginia Department of Education to receive the NAP credit. Your tax certificate will come from the Superintendent of Public Instruction (vice the VDSS) if you give to an educational charity. Virginia allows both 501(c)(3) and 501(c)(4) organizations to participate in the NAP. Donations to 501(c)(4) organizations are not deductible from taxes (there are a few rare exceptions), but you would still qualify for the Virginia NAP tax credit. Be sure you know the tax exempt status of the charity you are giving to before you make your donation. This is a really powerful tax incentive. Virginia wants these charities to receive your money so that it stays at work here in Virginia. I hope to see more people taking advantage of this generous credit next year. If you want more information about the program, please contact me. As part of my service here I provide a free review of a client’s prior year tax returns. Most of the time I find errors that can be corrected by amending the prior year return, usually resulting in a refund from the IRS. Most of the time the tax return was self-prepared by the taxpayer, but I also find mistakes made on returns prepared by other tax professionals. I thought I would make a post of the most common errors I found on tax returns this past year. If you’re preparing your own taxes it might give you an idea of some things to watch out for. I commonly find this on the tax returns of military personnel. The military member has a home of record in a state that doesn’t have an income tax. When they itemize their tax deductions on Schedule A, they leave line 5 empty. But line 5 allows you to choose between deducting state income taxes or sales tax. If you can’t take a state income tax deduction because you don't pay state income taxes – then for Heaven’s sake, take the sales tax deduction! Reviewing my records for this post I found only one landlord in the past two years who did his own taxes and correctly calculated the depreciation on his property. I’m not going to try to explain how to figure depreciation here, but given the number of errors I see by do-it-yourselfers, it is clearly complicated. One of the things that makes it so complicated is that the forms the IRS provides are not very helpful in explaining how to fill in the blanks. If you’re trying to calculate depreciation on a rental property for yourself and you get stuck, get help from a tax professional. 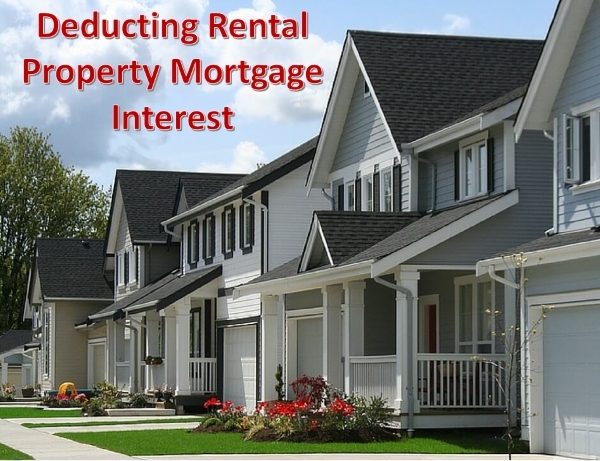 The IRS will make you rectify your depreciation numbers when you sell the property and I have seen some significant tax consequences to taxpayers who thought they understood depreciation but did not. The typical scenario here is that Grandma opened a Unified Gifts to Minors Act (UGMA) account in Junior’s name and put some stock or a mutual fund in it. Junior is now six years old and receives a 1099-DIV for the $120 in dividends he earned. The parents include that money in their income and pay taxes on it. This is a mistake. Here’s how this one usually goes: John and Mary had $3,000 withheld for state income taxes in 2014, but their actual state income taxes owed for 2014 was $4,000. To pay it they stroked a check to Virginia for $1,000 in April 2015. In 2015 John and Mary had $3,000 withheld from their income for state income taxes. They itemize their FEDERAL tax return and claim the $3,000 that was withheld as their state income tax deduction on Schedule A. The problem is that John and Mary actually paid $4,000 to Virginia in 2015 – the $3,000 they had withheld and the $1,000 they paid in April to settle their 2014 tax bill. They should be claiming a $4,000 deduction for state income taxes, not just the $3,000 that was withheld from their income. Don't forget to deduct the amount you paid in addition to the wage withholding! Many taxpayers have more than one job, or they need to drive for work. Both of these situations can create an opportunity for the taxpayer to deduct expenses for using their own vehicle. I wrote a complete post about this previously, so you can get the additional details here. This isn’t really a tax preparing error – the IRS doesn’t require you to use your HSA. However, for most people it’s a big mistake to not use it. You’re missing out on an enormous tax benefit. You can put money into it tax free, growth of the money in the account is tax free, and as long as you use the money for medical expenses you can take the money out tax free as well. Free when it goes in, free while it grows, free when it comes out - that’s Tax Nirvana! When it comes to taxes I’d rather have an HSA than an IRA. There’s no income limit on getting a deduction for your contributions to an HSA – not true for an IRA. You can just about guarantee that your medical expenses will be significant in retirement, so being able to use it for medical expenses is a very solid bet. And, if you’re fortunate enough to have good health for your entire life, you can still take the money out after you are Medicare eligible and not have to pay any penalties on the withdrawal. You’ll pay normal taxes if you don’t use it for medical expenses, but you’d do that with an IRA anyway. You are essentially making a free bet that you’re going to have medical expenses – but if you don’t have medical expenses you’re no worse off tax-wise than if the money was in an IRA. I am stunned when I see taxpayers with unused cap space on their HSAs. They are missing a real opportunity to save money on taxes by not fully utilizing this great tax benefit. I offer to amend returns when I find errors. I charge a fee for that, of course. I am running a business here, after all. But just because I am running a business doesn’t mean I want people who prepare their own taxes to make errors that cause them to overpay the IRS. The tax code has built in protections and benefits for taxpayers. Everyone should be taking advantage of them. If you have questions or want me to review your taxes, please contact me. 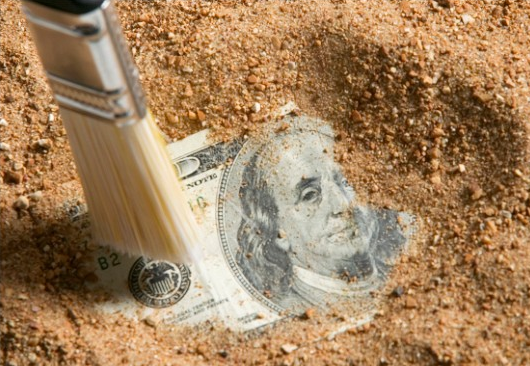 US taxpayers working and living abroad may qualify for the Foreign Earned Income Exclusion. I won’t get into how one qualifies for it here – that’s a whole different set of (highly complex) rules. Suffice it to say you essentially have to be working out of the United States for a year before it starts to become a possibility. It’s a really good tax benefit, but not as good as I think it should be. I’ve completed the tax returns for several people who claimed it in 2015, and it’s never quite as good as they think (or hope) it will be either. There are two main reasons for that, and they are somewhat complicated. I’m going to break those two reasons down and make them easier to understand. Reason #1: The Way the Cap is Figured. The amount of foreign earned income that can be excluded from your income for tax purposes is capped. In 2015 it was $100,800. The maximum amount is indexed for inflation, so it goes up every year. The issue here is the cap is also limited by the amount of time you actually worked in a foreign country during the year. The only way to get the full $100,800 exclusion is to be in the foreign country all 365 days of the tax year. That’s not very common. Let’s say a person worked in a foreign country from July 1, 2015 until June 30, 2016, and they meet the requirements to qualify for the Foreign Earned Income Exclusion. That span covers two tax years. The foreign earned income received from July 1 – December 31, 2015 goes on the 2015 tax return. The foreign earned income received from January 1 – June 30, 2016 goes on the 2016 tax return. This person earned $100,000 from July 1 – December 31, 2015. That’s below the 2015 cap of $100,800 for the Foreign Earned Income Exclusion, but that entire $100,000 cannot be excluded – even though it was all foreign earned income. We have to apply the ratio of days in 2015 in the foreign country to the amount of foreign earned income to determine how much can be excluded. From July 1 – December 31 is 184 days. The maximum amount this individual can exclude as foreign earned income in 2015 is $54,432 - well below the $100,000 they earned overseas. Essentailly the worksheet has you add the foreign earned income back to your taxable income. Then you find the tax on that amount. Then you find the tax on the amount of the excluded foreign income and subtract that amount from the tax on the total. This matters because the IRS is not treating this excluded income like a deduction. Deductions come off the top of your income, and you receive the tax benefit at your top marginal rate. What this fancy little worksheet does is rearrange things to take the Foreign Earned Income Exclusion off the bottom of your income. Your tax savings come at your lowest marginal rates instead of your highest marginal rates. That’s a bit of a tough concept to comprehend, so I made some graphics that I hope will clarify it for you. We will stick with the numbers from the first example. Our hero – the taxpayer – made $100,000 in 2015, of which $54,432 qualifies for the Foreign Earned Income Exclusion. We exclude that from his income. Let’s also assume that through other deductions and exemptions his taxable income on line 43 comes to $30,000. We’ll also make him single and use the tax rates for taxpayers filing as single. The left side shows the taxpayer's total taxable income stack next to the tax rates chart. When we exclude the foreign earned income from the top (as if it were a normal deduction) the remaining $30,000 of income is taxed at the lowest tax rates. The right side shows nearly the same thing, except that the foreign earned income is excluded from the bottom of the income stack. That leaves the remaining $30,000 being taxed at the taxpayer's highest rates. If that seems insignificant, it is not. If the taxpayer could just figure his tax on the $30,000 as if the foreign earned income was treated like a deduction (How it should be), then his tax bill would be $4,043. By using the worksheet and taking the Foreign Earned Income Exclusion off the bottom (How it is) the taxpayer has a tax bill of $7,500. A difference of $3,457. That little Foreign Earned Income Tax Worksheet calculation creates an 85.5% increase in the taxes owed by the taxpayer! On a happier note - Virginia doesn't bother with this fancy calculation for state tax returns. Like many states, Virginia's state income tax calculation begins with the Federal Adjusted Gross Income. Since the foreign earned income is removed prior to the federal AGI calculation, that income never even makes it onto the Virginia tax return. In essence, it has come off the top for Virginia tax purposes. If you qualify for the Foreign Earned Income Exclusion, make sure you are using it. If you have questions about the Foreign Earned Income Exclusion please contact me. Many people know “529” accounts are available as a tax-advantaged way to save money for higher education. 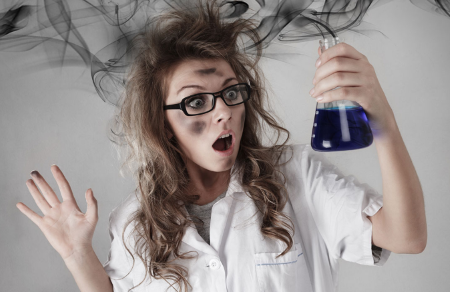 If you’ve been reading this blog you also know I am a BIG fan of the 529 college savings programs, even though there are some pitfalls 529 investors need to watch out for when taking money out of a 529 to pay for college expenses. What I suspect many people don’t know, however, is that in December 2014 Congress expanded authorities under Section 529 for states to establish another type of tax-deferred savings program. This program is for people with disabilities. It’s called the 529 ABLE program – and I like it just as well as the 529 College Savings programs. Maybe more. Couldn’t they give it a different name? Why Is It Called a “529”? Why Did We Need 529 ABLE Accounts? The primary issue being addressed by Congress was that many people with disabilities end up requiring social services (Social Security Income, Social Security Disability Insurance, Medicaid, etc.) to get by. Many social services are “means tested” – if you have money or assets, you don’t qualify to receive benefits under the programs. This created a disincentive for people with disabilities to save for their future. Sticking a few thousand in a retirement account could cost you tens of thousands in social services support. Wealthier families could create complex trusts to support a disabled child or relative without jeopardizing their access to social services, but most families either skirted the law by (illegally) keeping assets in someone else’s name or just not saving anything at all for the person with a disability. That’s where the 529 ABLE account comes in. A person with a disability (or their family) can now save money in a tax-deferred account without it impacting their access to social services*. It’s a great incentive to be independent and self-supportive. Each state will develop its own 529 ABLE program, so there will be variations among the individual programs offered by each state. They must all follow the IRS guidance, however, so there will also be a lot of common ground. Some states are making their program available nationwide. You don’t necessarily have to be a resident of a particular state to participate in their 529 ABLE program. If you are eligible, you can open a 529 ABLE account. Once the account is open, up to $14,000 can be deposited to it annually as long as the total account balance is below the state’s established limit. Ohio has the first 529 ABLE program, and their established account limit is $426,000. If you have an Ohio ABLE account and the balance is greater than $426,000 no further contributions can be made to the account until the balance is below $426,000. That’s a generous limit. Not one most individuals will need to be concerned with. Other states may have other limits. The $14,000 annual limit is on the account, not the contributor. Total annual contributions from all sources cannot exceed $14,000. Fortunately, the IRS guidance on the 529 ABLE accounts made a very broad interpretation of the above rules. 529 ABLE withdrawals can be used for housing, transportation, employment support, healthcare & wellness, legal fees, financial management, oversight, communication services, etc. Just about anything that supports the life and well-being of the disabled person qualifies as a legitimate expense. This is a really great program for taxpayers with disabilities. My brother, Tom, has Down Syndrome and our family has been chomping at the bit for the 529 ABLE program to come online since the law was passed by Congress in 2014. Although Tom has been working and saving for nearly 30 years, we didn’t want his money in a retirement account (like an IRA) because we are concerned he may need the money before he is 59 ½ - the minimum age for withdrawal without tax penalties. Tom is a resident of Ohio, and we were lucky that Ohio had the first 529 ABLE program made available to the public. I reviewed the program and was very satisfied with the job Ohio had done in terms of simplicity, value, and convenience. We started moving Tom’s assets into his Ohio 529 ABLE account just a few weeks ago. Virginia is scheduled to roll out their 529 program later this summer. You can expect me to review it when it does. In the meantime, if you want additional information about 529 ABLE accounts, please contact me. *Individuals receiving SSI should be aware that once the balance of the account exceeds $100,000 it starts to impact SSI eligibility. The first $100,000 is discounted, but above that eligibility is impacted. If the account balance is $102,000 then $2,000 is counted as an asset toward SSI eligibility. The deduction for mileage one of the tax breaks I see taxpayers not taking as often as they should be. More people qualify for it than they realize, and I am writing this article because I want more people to realize it! It can make a tremendous difference in your tax bill at the end of the year. People who drive as part of their job are generally aware they can deduct mileage as a business expense, but many don’t fully grasp the significance of the deduction. It can be huge. I had a client this year who mentioned his mileage as an afterthought. I had prepared his taxes and reviewed the return with him. Then he mentioned that he frequently drives to temporary work locations as part of his job. He had records of the mileage in his car. I had him go get them and he sat and watched me add the deduction to his tax return. He was able to see in real time as $1,800 came off his tax bill. I doubt he’ll ever forget to mention his mileage to me again! Who can claim the mileage deduction? It’s a bit of a trick question. There really isn’t a mileage deduction, but there are deductions for vehicle expenses if you used your vehicle for work/business, for moving, or to support a charity. In all of those situations you can either deduct the actual vehicle expenses or you can take a standard deduction based on the number of miles driven for the specific activity. The standard mileage rate is much simpler to calculate and track, and it often provides a larger deduction than the actual expenses. No matter which method you are using to deduct your vehicle expenses be sure to track your tolls and parking separately. You can deduct the cost of those items even if you are using the standard mileage rate to figure your deduction. Driving for work or business – 57.5 cents per mile (drops to 54 cents per mile in 2016 – the cost of operating a vehicle is cheaper than it used to be). I love this diagram. It comes from IRS pub 17 and makes determining whether or not your mileage is deductible as work or business a breeze. I think it should go into the Smithsonian. It is a national treasure. 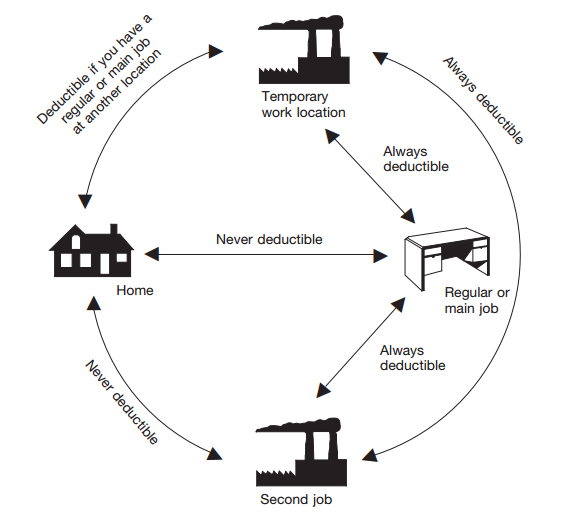 Driving to your regular work location (your normal commute) and then back home is never deductible. But if you leave your normal work location to go to a temporary work site or a second job, that mileage is deductible. If you drive from home to a temporary work location that mileage is deductible. If you drive from your temporary work location to your second job, that mileage is deductible. Moving Mileage – 23 cents per mile. As I mentioned in a recent post, you can deduct moving expenses associated with starting a new job. You can refer to that post if you want more details. If you use your vehicle in the service of a qualified charitable organization, you can deduct the actual expenses of the gas and oil or you can take a standard mileage rate deduction of 14 cents per mile. So, if you drove your kid’s scout pack down to Kitty Hawk to see the Wright Brothers museum, keep track of that mileage because at tax time you can write that off as a charitable contribution. Virginia allows a deduction of 18 cents per mile for charitable driving, so if you’re filing in Virginia be sure to get your extra 4 cents per mile deducted from your Virginia taxable income. In order to take the deductions for work/business miles or charitable driving miles you will need to itemize your deductions on Schedule A. Moving expenses are an adjustment to income, so you don’t need to use schedule A in order to deduct those miles. What If I am Reimbursed? The IRS requires taxpayers to have adequate records to substantiate their mileage deductions. What exactly does adequate records mean? There’s an app for that! In fact, there are several apps for tracking mileage. I use one known as MileIQ. It uses the GPS in my phone to track individual drives and distances. After I arrive at my destination I get a phone alert that a new drive was recorded. I tap the alert to open the app and review the drive. If it was a drive for personal reasons I swipe left. If it was for business I swipe right, and the drive is recorded as such. I typically just clear all my drives at the end of the day. It takes 30 seconds and I have a driving log. The app is free for up to 40 drives per month. If you drive more than 40 times per month (and you probably do) then it’s $60/year. It is available from Apple and the Google Play store. If you think you might be able to deduct some of your driving miles as a business, moving or charitable donation – but aren’t sure – contact me. We’ll get it sorted out. Wow! 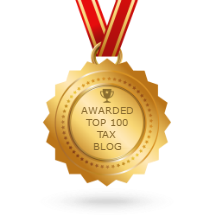 Almost a month since I have published a blog post. I've been rather busy getting the financial planning side of the business set up. Additionally, there were some management changes with the office I rent and I had to spend some time figuring out if I would be able to stay here at 582 Lynnhaven Pkwy or if I was going to have to find a new office. (That's all settled, and I am staying right here!) And lastly, I had a kidney stone. A big, nasty 7 mm one that attacked during the evening of the last day of tax season! That had me out of commission for a while, but now I am back at full stride. Time to start posting again. I thought I'd ease back into the tax blog with a little history on the ordinary and necessary requirement for business expenses. This is a little tax story that I find interesting. I hope you do, too. Harold Lloyd Jenkins made a significant impact on the federal tax code when he won his lawsuit against the Commissioner of the IRS. In its ruling favoring Jenkins the tax court defined the standard for Internal Revenue Code section 162 ordinary and necessary business expenses. That standard is still in effect today. If none of this seems interesting, keep reading – it gets better. Harold Lloyd Jenkins was much better known by his stage name Conway Twitty. 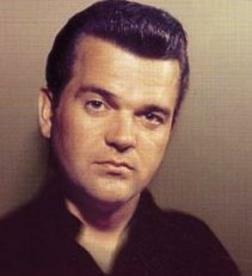 As a singer, songwriter, and producer Twitty collaborated on 55 number one country, pop, and R&B music records during his career. He may be best known for a series of country duets he did with Loretta Lynn in the early 1970s. What he is not remembered for is Twitty Burger. Twitty Burger was a string of hamburger restaurants Jenkins/Twitty opened with investor backing in 1968. By 1971 it was evident the restaurants had no future and were closed. In 1973 and 1974 Twitty repaid some of his Twitty Burger investors with money he earned as a recording artist. He deducted those payments to investors as an expense to his business of being a recording star. The IRS disagreed that repayments to investors for a previous failed business were an ordinary and necessary business expense for a recording artist and demanded Twitty adjust his tax returns and pay the taxes on that money. Twitty and his lawyers took the case to Tax Court where they argued that a country music singer’s reputation was essential to the success of his business/career, and that failing to repay the Twitty Burger investors would have damaged Twitty’s reputation within his industry. Therefore, the repayments met the standard for being ordinary and necessary business expenses for a country music singer. In Twitty’s case the court ruled that Twitty made the repayments to investors to protect his reputation, and that his reputation was essential to his business as a recording artist. In short, the court set the standard that being ordinary and necessary was dependent on the particular profession. Expenditures that are not ordinary and necessary in one profession may be ordinary and necessary in another. An insurance salesman can’t claim fire-proof pants are an ordinary and necessary expense, but a fire fighter can. This ordinary and necessary standard remains in effect today. As an odd footnote to this story, the Tax Court concluded their written ruling on the case in the form of a country music ballad.